Deepika Padukone and Ranveer Singh are finally getting married. Yay! After several months of will they-won't they, the star couple announced their wedding last month and the ceremonies begin from November 14. The picturesque Lake Como in Italy is Deepika and Ranveer's wedding destination, where they arrived with their respective families over the weekend. 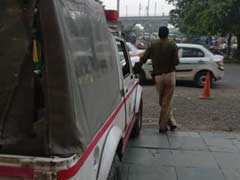 The ceremonies will take place over days, after which, the couple will return to India and host two wedding receptions. Deepika and Ranveer's love story dates back to 2012 and professionally, they have made three blockbuster films together, including this year's "Padmaavat." Ahead of their big fat Italian wedding, we have collated 10 best pictures of the couple, which is surely a treat to all their fans. (Yes, you can thank us later). In 2015, Deepika came to cheer for Ranveer at the screening of Dil Dhadakne Do in Mumbai. She congratulated the cast and crew of the film and in a separate tweet, she said "proud of you, Ranveer." The then rumoured couple cheerfully posed for the paparazzi too. 2015 was way too special for them professionally. Deepika and Ranveer co-starred in the blockbuster film Bajirao-Mastani and apart from this, they gave individual hits like Piku, Tamasha and Dil Dhadakne Do, respectively. At the 2016 Filmfare Awards, both of them were given the best actress and actor prizes for Bajirao Mastani. And, this is how, the celebrated their big win. (Aww). At the success party of Tamasha, Deepika and Ranveer just couldn't stop looking into each other's eyes. Ranveer and Deepika's kiss of love! (What's that puddle on the floor? Oh, it's your heart). 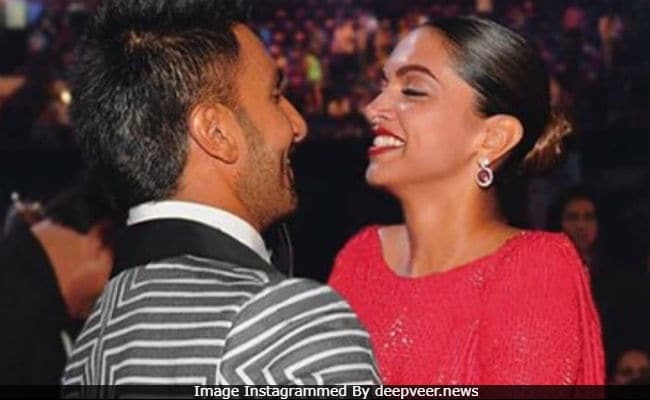 In 2016, a pre-wedding party was held for Mukesh Ambani's niece Isheta at their Mumbai home and guess how Deepika and Ranveer entered and exited the star-studded bash? They were photographed holding each other's hand and Deepika sported a million dollar smile. 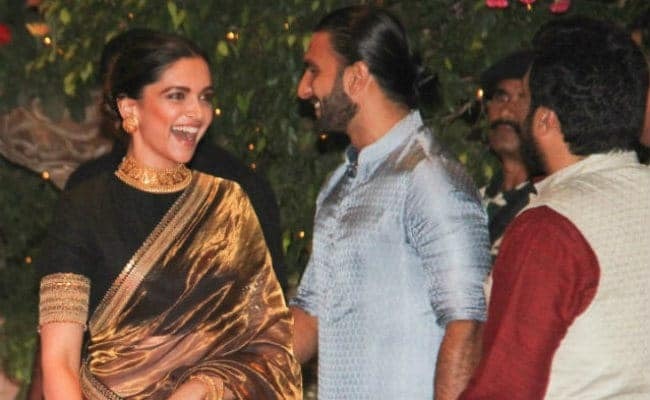 Last year at Mukesh and Nita Ambani's Ganesh Chaturthi party, Deepika and Ranveer arrived together and were pictured smiling at each other. (So cute, na?). This January, Deepika and Ranveer trended a great deal, as they entered a screening of "Padmaavat" twinning in white and hand-in-hand. This picture and their smile say it all. 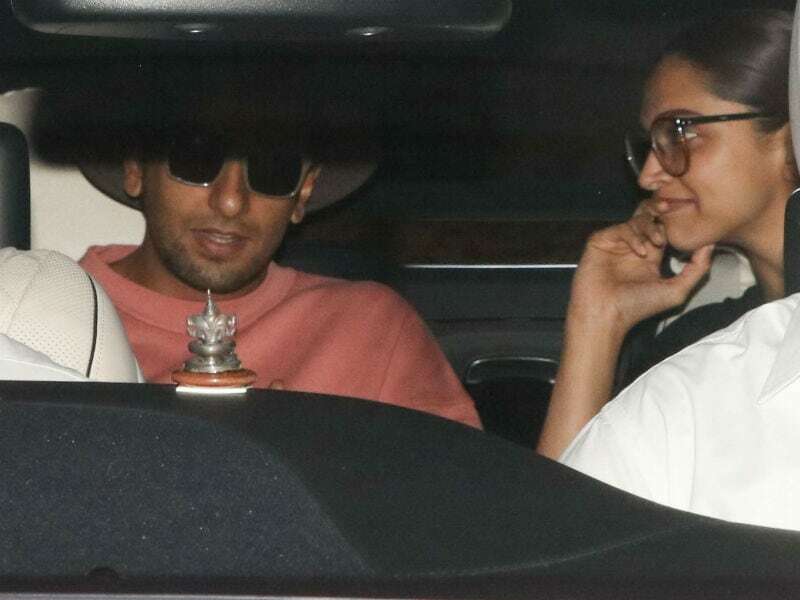 After a month, we spotted them exiting Karan Johar's home together and Deepika just looked at Ranveer and smiled. At the airports too, Deepika and Ranveer have set couple goals and how. These pictures are proof, take a look. Congratulations, Deepika Padukone and Ranveer Singh!